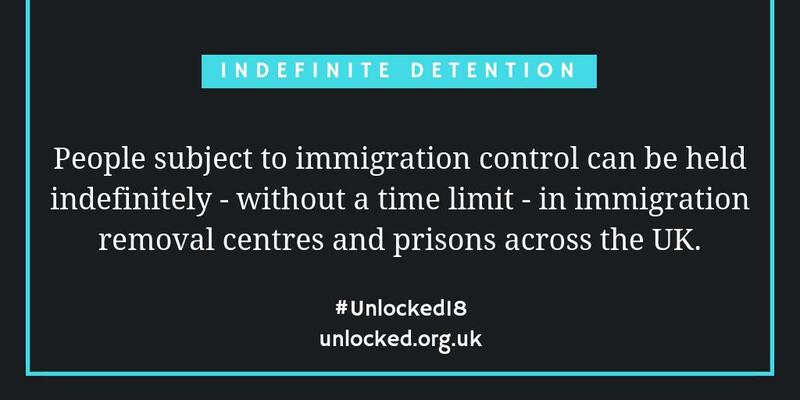 In this #Unlocked18 blog, Mishka at Freed Voices (@FreedVoices) interviews Tamsin Alger, Deputy Director at Detention Action about her experience of the Detained Fast Track (DFT) strategic litigation and campaign. The DFT litigation was one of the key highlights of the 2015 Unlocking Detention timeline. I am Mishka from the expert by experience group, Freed Voices. This is my second Q&A blog for Unlocking Detention. This time, I thought of asking you a few questions about the Detained Fast Track (DFT) litigation instigated by Detention Action. This is something I consider as a vital legal challenge which goes hand in hand with immigration detention and the asylum system as well. I am aware that you were one of the key persons behind this litigation by Detention Action. I think it is important to highlight that I am someone who has gone through this DFT process. Thank you for your questions. These questions made me think! 1) Instigating litigation to challenge the DFT must have been a big decision. What was the motivation behind that decision? Instigating the litigation to challenge the DFT was a massive decision. We were a tiny organisation, and the DFT had the full weight of the government behind it and years of seeming to be untouchable. But hearing the fear, despair and desperation our clients voiced to us every day, we felt we had to take action. 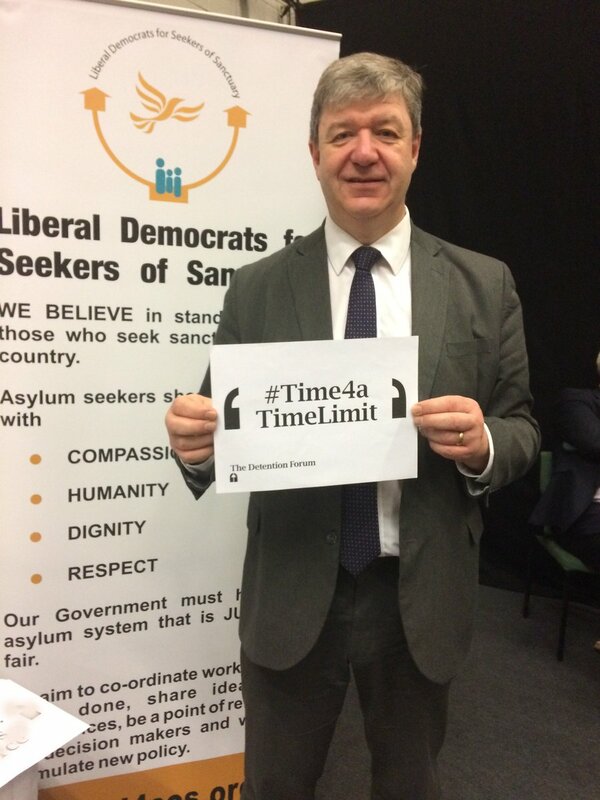 We were already campaigning against the colossal injustice of indefinite detention and the extreme periods of detention other people in detention experienced, and the DFT seemed to be at the other end of the spectrum of egregious human rights abuses in detention in the UK. Vulnerable asylum-seekers incarcerated and pushed through a system at breakneck speed, a system that seemed designed to fail them and where justice was nigh on impossible. 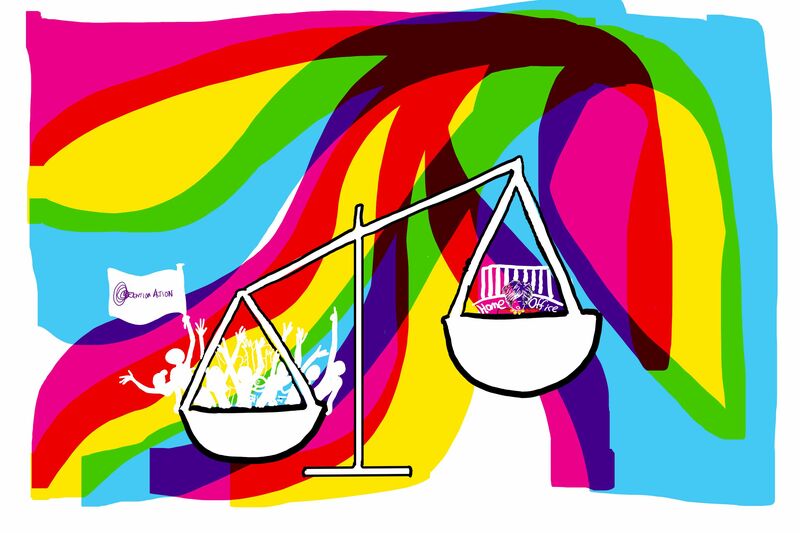 There are many tools you can use in campaigning for social change, but our analysis showed us that litigation was the only effective option in this particular case. 2) What was the most difficult thing you all found during that 7 steps (please correct me if I am wrong) legal challenge? It’s hard to pinpoint a specific moment that was the most difficult during a lengthy legal process that dominated our working lives for so long. It was a rollercoaster of ups and downs and a fair amount of frustrating and lengthy waiting too, particularly given the urgency of the issue. Perhaps the most difficult thing was simply to keep going. We were committed to seeing it through, but it was slow and painstaking work, and at times the end goal felt out of reach. What made a huge difference was the tremendous stamina and determination of our legal team and the growing sense that many others were joining in our fight. So many of our own volunteers, other NGOs, lawyers and supporters contributed huge amounts of energy, time and expertise. And the more we won at each stage and chipped away at the edifice of the DFT, the more we all sensed that we could really do this. We could really bring the whole thing tumbling down. The reaction from people in detention was humbling and inspiring. As they followed the slow progress of the case, many knew that it was unlikely to bring any immediate benefit to them personally despite their own desperate situations. And yet we were struck again and again by their shared sense that the fight was worth having, the sheer fact we were standing up against this injustice was somehow a sustaining force. It gave people in detention courage, and they gave us courage. There was a chance justice would be done. If not for them, then for others in the future who would not face the same injustice. 3) Do you think the government will reintroduce something similar to the unfair DFT system? Since the DFT was stopped in 2015, the government has repeatedly taken steps to explore if and how they could bring it back in one form or another. The most recent development has been a consultation from the Tribunal Procedure Committee on accelerated procedures for all immigration appeals in detention. 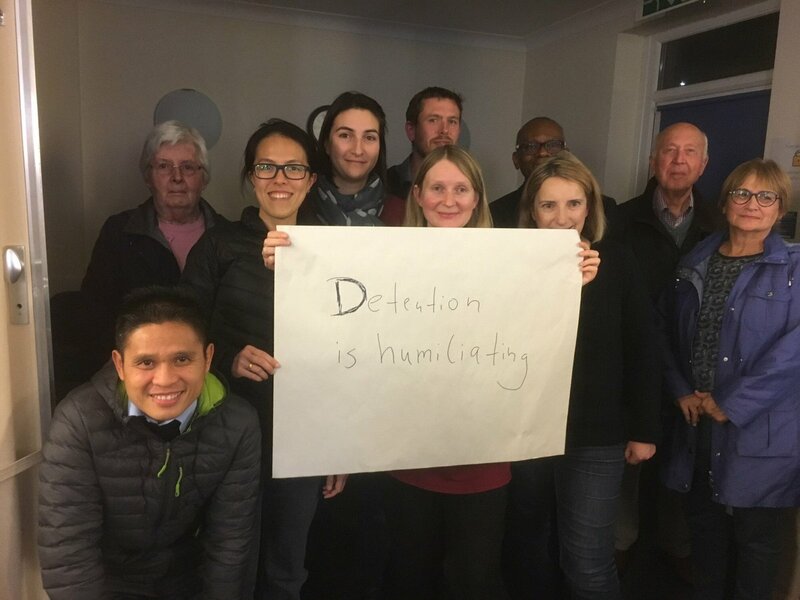 At each point, Detention Action and others have responded vigorously with strong arguments that a re-worked DFT cannot overcome the fundamental unfairness of a fast track process in detention. Three years later, there is still no DFT. Someone once referred to the collective effort of the Detention Action litigation as it “taking a village” to achieve what we did. I agree. There is now a body of caselaw and a strength of conviction that I am confident the government would face a monumental battle were they to try to reintroduce the DFT. We are now in a very different landscape from where we were when our tiny organisation first took the government to court five years ago. 4) The DFT system had been running for years until the courts laid it to rest in 2015. What would have been the reason(s) the courts took such a long time to comprehend that this system is ultra vires and unlawful? There are many reasons why it took such a long time for the courts to finally reach this conclusion, although there were also many moments of insight along the way. I would probably highlight two reasons. Firstly, the DFT was an incredibly entrenched and political issue. It was not easy for the courts to put a stop to a system that the government had relied on so heavily and so extensively for many years. We focused on depoliticising the issue as much as possible, and I think that helped. Secondly, to fully understand the problem of the DFT, you have to grasp the cumulative nature of its unfairness. At each stage, it felt as if we would win one argument but the government would try to tweak something in the system to satisfy the courts. We (Detention Action, our lawyers and all the others who contributed so much) had to pull together vast amounts of evidence about what was really happening on the ground as the case progressed, to demonstrate that systemic unfairness continued. We had to show again and again that the system was fundamentally flawed throughout and the only option was to end it. Thank you for your insightful answers and for your questions as well. My answers are as below. 1) How has your experience of the DFT shaped your determination to campaign for detention reform? Going through DFT felt like my natural justice was breached. My liberty was taken away and I did not have proper access to quality legal advice until the very last moment; my access to justice was severely undermined. This system denied the right to a fair consideration of my claim, and I felt like it was a battle against time and I lost that battle. I was surprised that even independent Immigration Tribunals and Judges were a part of this system. The environment in detention centres do not in any way give you an opportunity to lodge a proper claim. You are cut off from the external world and you cannot gather necessary evidence you need. You cannot even obtain an expert report to make your claim stronger. This experience of DFT therefore certainly shaped up my determination to campaign for detention reform. However, in the meantime, whilst going through DFT, I comprehended that it is not only the asylum claimants facing unfairness while in immigration detention. The same set of difficulties I had to face under DFT, others also were facing. 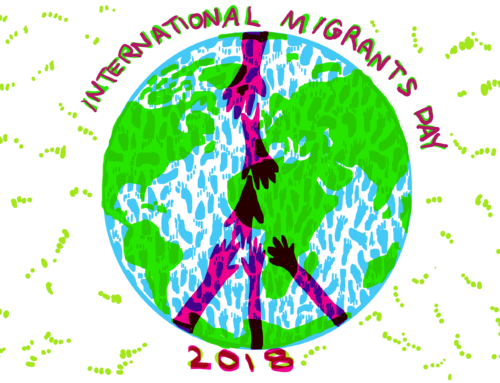 There were people with many other types of immigration situations, such as Article 8 cases, students and people fighting deportation decisions. They all were facing a similar unfairness like I was facing even though their circumstances were different to mine. This is one of the reasons why it is important for me to focus on everyone in detention during my campaign and advocacy work and I would say my experience of DFT had an impact on my determination and decision to become Mishka from Freed Voices. 2) What would you say to a government that tries to reintroduce the DFT? Firstly, I would like to remind them the sort of damage the DFT has already caused to thousands of people who needed international protection for various reasons. I would try my best to explain that it is easy for the decision makers, relevant ministers, Immigration Judges and Home Office caseworkers to act and comment like superheroes and undermine the risks that asylum claimants could face as long as it is not happening to them. I will remind them about the human impact first. For example, some judges, Home Office caseworkers and their legal representatives often claim that people can maintain family ties via Skype and social media – but I don’t think they will see it that way if they were in the claimants’ position themselves. Then I will also try my best to remind them and also enlighten them about a number of legal challenges that had already been brought against the DFT and as a result, now it has been concluded that DFT was an inherently unfair system and also ultra vires. There are still people who faced the DFT pursing their claims in the form of fresh asylum claims and some are pursuing judicial reviews. Claimants would not be satisfied with the outcome of their claim, if their claims were not concluded or determined properly and fairly. 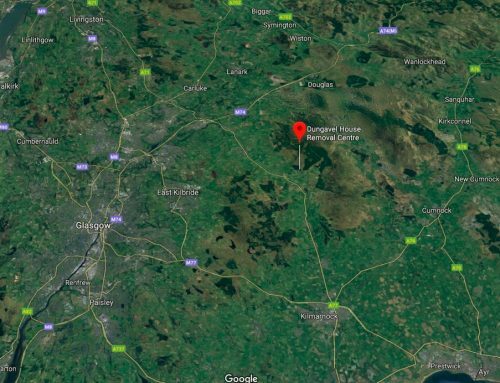 They would keep on pursuing their claims via other legal routes – they could win but they would do their utmost to pursue their claims as if they would never win, because they felt it was not fair and they were not taken seriously. Peoples’ lives being stuck in limbo for years trying to get a fair hearing and the government wasting massive amounts of taxpayers’ money defending their broken argument and trying to bring back DFT – there will be no real winner here.